Four-year-old Jessica immigrates to Canada with her parents and two older sisters, leaving behind a life of comfort and familiarity in the Philippines, only to experience the trials of adapting to an unfamiliar place. When her grandmother passes away, Jessica, now nine, returns to the Philippines and begins to reconcile her inner struggles. She realizes what matters most as she restores relationships with the family she left behind. 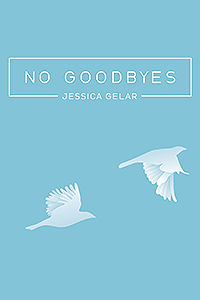 No Goodbyes, a collection of short stories, reminds us that the human experience is a search for belonging. From the quiet maid, Manang Nene, to the eccentric Rudy, these stories show individual journeys overcoming turbulence in life.